Gemini (May 21-June 20): One of the most popular brands of candy in North America is Milk Duds. They're irregularly shaped globs of chocolate caramel. When they were first invented in 1926, the manufacturer's plan was to make them perfect little spheres. But with the rather primitive technology available at that time, this proved impossible. The finished products were blobs, not globes. They tasted good, though. Workers jokingly suggested that the new confection's name include "dud," a word meaning "failure" or "flop." Having sold well now for more than 90 years, Milk Duds have proved that success doesn't necessarily require perfection. Who knows? Maybe their dud-ness has been an essential part of their charm. I suspect there's a metaphorical version of Milk Duds in your future, Gemini. Cancer (June 21-July 22): In my vision of your life in the coming weeks, you're hunting for the intimate power that you lost a while back. After many twists and trials, you find it almost by accident in a seemingly unimportant location, a place you have paid little attention to for a long time. When you recognize it, and realize you can reclaim it, your demeanor transforms. Your eyes brighten, your skin glows, your body language galvanizes. A vivid hope arises in your imagination: how to make that once-lost, now-rediscovered power come alive again and be of use to you in the present time. Leo (July 23-August 22): The etymological dictionary says that the English slang word "cool" meant "calmly audacious" as far back as 1825. The term "groovy" was first used by jazz musicians in the 1930s to signify "performing well without grandstanding." "Hip," which was originally "hep," was also popularized by the jazz community. It meant, "informed, aware, up-to-date." I'm bringing these words to your attention because I regard them as your words of power in the coming weeks. You can be and should be as hip, cool, and groovy as you have been in a long time. 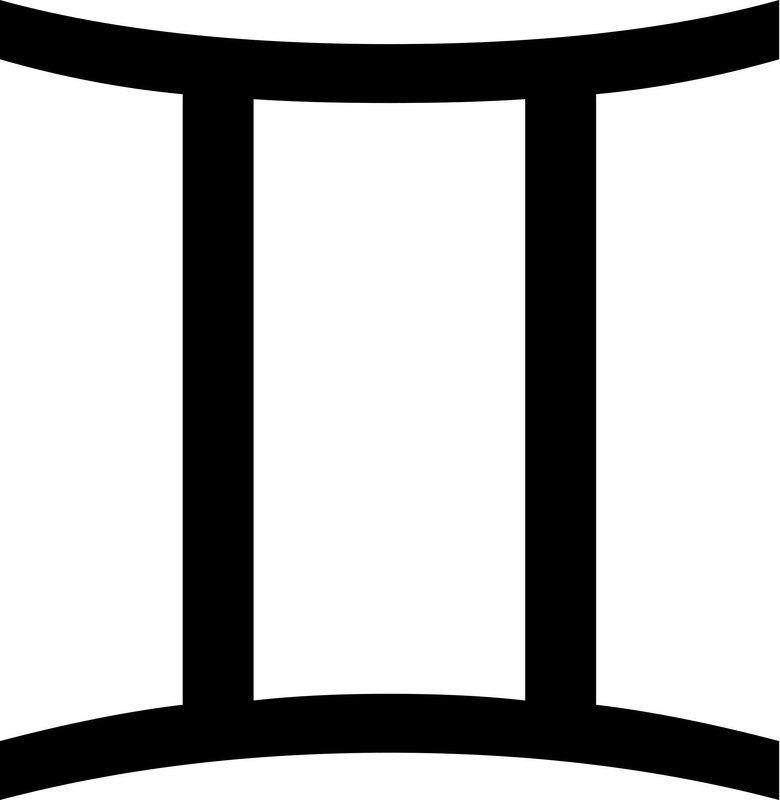 Virgo (August 23-September 22): I hope you will seek out influences that give you grinning power over your worries. I hope you'll be daring enough to risk a breakthrough in service to your most demanding dream. I hope you will make an effort to understand yourself as your best teacher might understand you. I hope you will find out how to summon more faith in yourself — a faith not rooted in lazy wishes but in a rigorous self-assessment. Now here's my prediction: You will fulfill at least one of my hopes, and probably more. Libra (September 23-October 22): The Polish pianist Ignacy Jan Paderewski once performed for England's Queen Victoria. Since she possessed that bygone era's equivalent of a backstage pass, she was able to converse with him after the show. "You're a genius," she told him, having been impressed with his artistry. "Perhaps, Your Majesty," Paderewski said. "But before that I was a drudge." He meant that he had labored long and hard before reaching the mastery the Queen attributed to him. 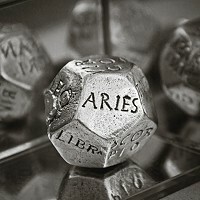 According to my analysis of the astrological omens, you Libras are currently in an extended "drudge" phase of your own. That's a good thing! Take maximum advantage of this opportunity to slowly and surely improve your skills. Scorpio (October 23-November 21): The ancient Greek poet Simonides was among the first of his profession to charge a fee for his services. He made money by composing verses on demand. On one occasion, he was asked to write a stirring tribute to the victor of a mule race. He declined, declaring that his sensibilities were too fine to create art for such a vulgar activity. In response, his potential patron dramatically boosted the proposed price. Soon thereafter, Simonides produced a rousing ode that included the phrase "wind-swift steeds." I offer the poet as a role model for you in the coming weeks, Scorpio. Be more flexible than usual about what you'll do to get the reward you'd like. Sagittarius (November 22-December 21): Here's the operative metaphor for you these days: You're like a painter who has had a vision of an interesting work of art you could create — but who lacks some of the paint colors you would require to actualize this art. You may also need new types of brushes you haven't used before. So here's how I suggest you proceed: Be aggressive in tracking down the missing ingredients or tools that will enable you to accomplish your as-yet imaginary masterpiece. Capricorn (December 22-January 19): Useful revelations and provocative epiphanies are headed your way. But they probably won't arrive sheathed in sweetness and light, accompanied by tinkling swells of celestial music. It's more likely they'll come barging in with a clatter, bringing bristly marvels and rough hope. In a related matter: At least one breakthrough is in your imminent future. But this blessing is more likely to resemble a wrestle in the mud than a dance on a mountaintop. None of this should be a problem, however! I suggest you enjoy the rugged but interesting fun. Aquarius (January 20- February 18): One of the saddest aspects of our lives as humans is the disparity between love and romance. Real love is hard work. It's unselfish, unwavering, and rooted in generous empathy. Romance, on the other hand, tends to be capricious and inconstant, often dependent on the fluctuations of mood and chemistry. Is there anything you could do about this crazy-making problem, Aquarius? Like could you maybe arrange for your romantic experiences to be more thoroughly suffused with the primal power of unconditional love? I think this is a realistic request, especially in the coming weeks. You will have exceptional potential to bring more compassion and spiritual affection into your practice of intimacy. Pisces (February 19-March 20): In accordance with astrological omens, I invite you to dream up new rituals. The traditional observances and ceremonies bequeathed to you by your family and culture may satisfy your need for comfort and nostalgia, but not your need for renewal and reinvention. Imagine celebrating homemade rites of passage designed not for who you once were but for the new person you've become. You may be delighted to discover how much power they provide you to shape your life's long-term cycles. Ready to conjure up a new ritual right now? Take a piece of paper and write down two fears that inhibit your drive to create a totally interesting kind of success for yourself. Then burn that paper and those fears in the kitchen sink while chanting "I am a swashbuckling incinerator of fears!" 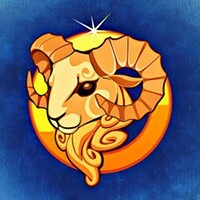 Aries (March 21-April 19): According to my assessment of the astrological omens, your duty right now is to be a brave observer and fair-minded intermediary and honest storyteller. Your people need you to help them do the right thing. They require your influence in order to make good decisions. So if you encounter lazy communication, dispel it with your clear and concise speech. If you find that foggy thinking has started to infect important discussions, inject your clear and concise insights. Taurus (April 20-May 20): A chemist named Marcellus Gilmore Edson got a patent on peanut butter in 1894. A businessperson named George Bayle started selling peanut butter as a snack in 1894. In 1901, a genius named Julia David Chandler published the first recipe for a peanut butter and jelly sandwich. In 1922, another pioneer came up with a new process for producing peanut butter that made it taste better and last longer. In 1928, two trailblazers invented loaves of sliced bread, setting the stage for the ascension of the peanut butter and jelly sandwich to its full glory. 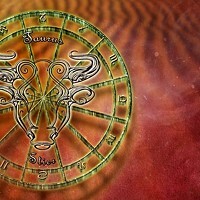 According to my analysis, Taurus, you're partway through your own process of generating a very practical marvel. I suspect you're now at a phase equivalent to Julia David Chandler's original recipe. Onward! Keep going! Having absolutely nothing to do with Mercury being Retrograde, a renegade lunar eclipse, or any other stew of heavenly omens, we mistakenly published last week’s Free Will Astrology column a week early. Rob Brezsny knows which week is which; we just had a small karmic conundrum. We sincerely hope you can forgive us. This week we’re publishing the column we skipped. We will be back on track next week!